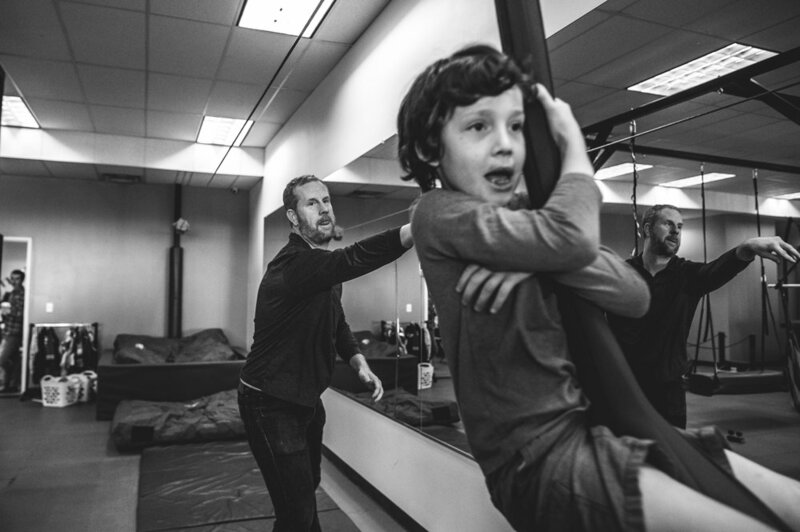 So here are some ideas about what to do during a documentary family photography session. This list is not exhaustive, of course - it's merely meant as a starting point to get you thinking about how you might like to document your family's life together. What does your family like to do to take advantage of all of the natural beauty and outdoor activities Colorado has to offer? Hiking, swimming, fishing - the sky's the limit in this beautiful state of ours. And traveling far is not a requirement; sometimes the best adventures can be found right in your own back yard or neighborhood park. Where does your family like to go when you want to get out of the house for a bit? Perhaps a trip to the museum, aquarium, petting zoo, or favorite indoor play place (such as the fabulous Family Connections of Kind Hearts kids' gyms)? Wherever it is, I'll be happy to tag along and document it for you. 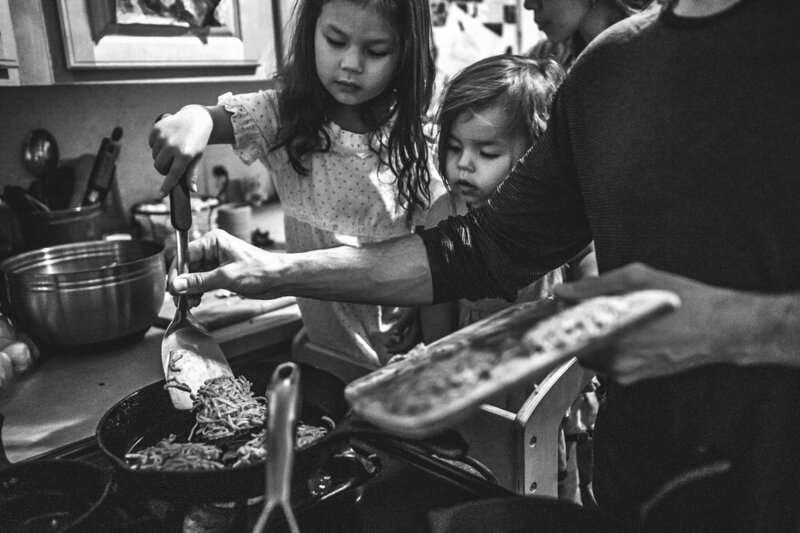 Some of my favorite photos are of families simply living their everyday lives. Does your family love to cook together? Make cookies for the holidays? Read stories every night before bed? Have super competitive game nights? Whatever your family traditions, never, ever underestimate the beauty of the every day. Special events are the perfect excuse for a documentary session. 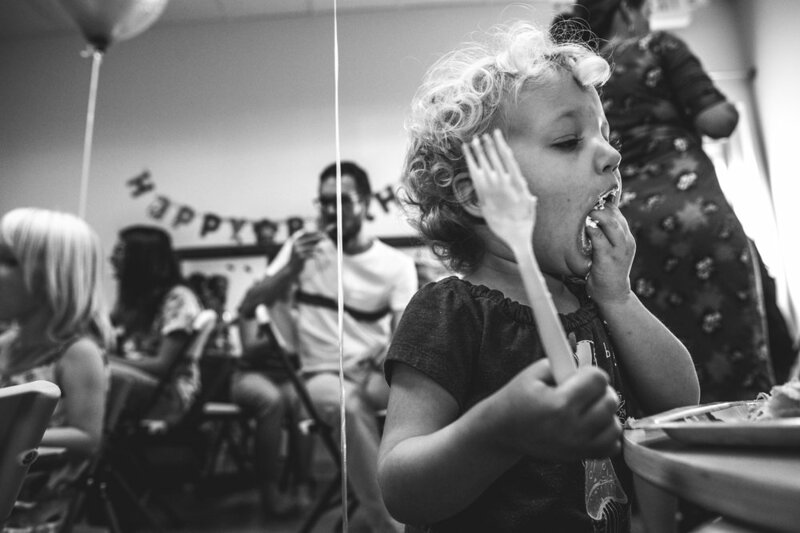 Birthday parties, baby showers, small weddings and elopements - family events are a perfect fit for documentary family photography. In the end, what we do is not what really matters. What's important is capturing the emotions and connections you have with the people you love. The quirks and idiosyncrasies that make up each member of your family. The feelings of joy, wonder, and love - THAT is what documentary family photography is all about. Ready for your first session? Contact me to get started.